Gone are those days with wrong foundation or contour colour. Say hello to your new flawless look! Now, most of you understand these 3 different colours but what does these actually mean? Cool undertones: cool undertones are specifically for people with pink-ish undertone. If you look at yourself in the mirror and see a hint of pink in your face then you are a cool undertone. This is typically for Western people and some very fair Asians (i.e: Koreans). Note that it is SOME Asians because many fair skin Asians still fall under neutral undertone. How can you find the best contour colour for cool undertones? It is very difficult for cool undertones (or pink, as I like to call it) to find the best match for contour colours. Due to the undertone of your skin, I would suggest that you buy a colour that is 1-2 shades darker than you (in the same undertone, of course). It is quite tricky because if you do go for those dark colours in the contour palette, it will look horribly wrong. Otherwise, you can always buy the ‘light’ version of the contour palette but just dab a little bit of it and make sure that you blend well! 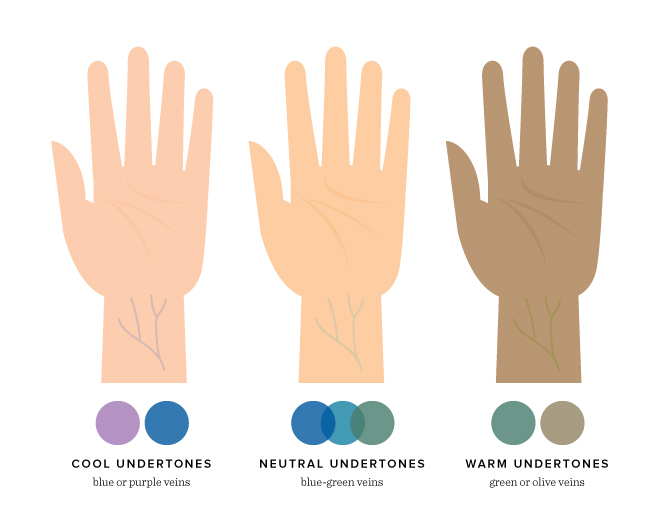 Neutral undertones: I always say that these 3 are categories rather than undertone types because when it gets to neutral undertones, there are 3 different types: olive, yellow, and golden. Olive undertone: olive undertone is a neutral colour with a hint of green tone. Some famous examples are: Rihanna, Adrianna Lima, or Morena Baccarin. Bronzer colour for this skin colour is best for any earthy brown colour e.g: copper colour. A product example will be Bobbi Brown Skin Foundation Stick in Warm Walnut. Yellow undertone: yellow undertone is for what is called a natural yellow/tan colour. A great example is Natalie Portman or Penelope Cruz. Although it may seem like yellow undertones can easily use any bronzer but that is not true! If a yellow undertone uses contour with a copper colour, it will seem fake and you can really see how the red-ish colour to your face. A product example will be Bobbi Brown Skin Foundation Stick in Chestnut. Golden undertone: golden undertone is a mixture of neutral (yellow/warm-ish) with a hint of pink undertone. A good example is Jessica Biel or Gisele Bundchen – she is someone who is on the fence of warm and cool. If she gets tanner a little, she is the perfect example of a golden undertone. A good contour colour for this is a dark golden colour for example: NARS Casino. Warm undertone: warm undertone is for the slightly darker skin colour. It is a tanner version of yellow undertone, in simpler words, I would say. Now, bronzer or contour for this undertone is best when the colour is straight on dark brown without any other undertone. A product example will be Bobbi Brown Skin Foundation Stick in Espresso. However, it depends on your tan you are. If this colour doesn’t cut it, I would find colours like the cool undertone and search for 1-2 tones darker than your foundation colour. Now, that was your first #BacktoBasics post. After understanding your undertone, you can easily find your: foundation, contour/bronzer, and even eyeshadow/ eye-looks! As you can see in this post, I am in loveeee with cream/liquid contouring. However, with this, you must be careful. Please don’t put too much just like those you see on Instagram because if you want it to look good on photos – the amount of products you will need is incredible. Therefore, please be careful as you don’t want to walk around with not well blended contouring etc. More post on contouring will be posted. You can learn how you can take the basics forward to create a natural contour look (with cream/liquid products) and learn the difference it creates with normal powder products.